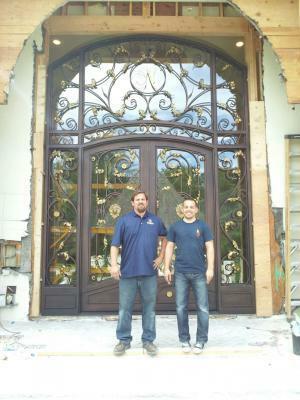 Signature Iron Doors installs another custom iron entry door in Toronto Canada! Ornamental wrought iron doors has been around for centuries. It is an art form unto itself. From the heat of the fire and the pounding of the hammer comes works of arts. We tailor build each door to our customers specifications. Nothing makes us feel better than having this American built door roll out of our factory! Engineered meticulously and built with exceptional care! We want to have the opportunity to put one of our doors on your home. We appreciate your patronage. Please call us at 855-388-3535.